Our multi award winning low energy system, with the popular shallow dig F-Line tank for easy and cost effective installation. High quality, one piece, shallow dig tank. No concrete required plus low installation depth minimises installation costs and supported by the manufacturers 25 year tank guarantee. 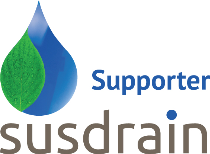 Award Winning Rain Director® low energy management system uses 6-8 times less energy than a typical direct pumped system. Automatic mains override should the underground tank run dry. Prolonged pump life due to reduction in cycling. Self cleaning filter reduces maintenance to a minimum. High pressure, pumped rainwater for garden use. Our Verdict: We believe this is the best, most economical Rainwater Harvesting system money can buy, coupled with the best tank. Half your water bill with running costs less than 1p per person per day. The Rain Director® pumps through a control unit, up to a "smart header tank" usually situated in a loft space. Inside the header tank are two level sensors, upper and lower. The system fills the header tank to the upper sensor then does not use the pump again until virtually all of the water is used and the lower sensor is reached. This "batch filling" process means the pump cycles 1-2 times per day, in comparison to every time a toilet is flushed with traditional systems. Coupled with the large reduction in energy and pump wear, the Rain Director® has numerous benefits in comparison to others on the market. 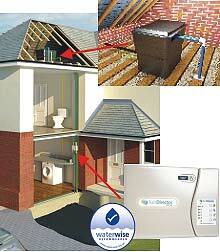 Full mains override, providing water in every eventuality: Low rainwater, pump failure or powercut. Ensures water quality by cycling water in the header tank if no activity is registered within 72 hours. 3 stage, electronic and physical overflow prevention system. Cost effective and simple installation: push fit plumbing and image based installation guide. Stylish and discreet control panel. Fully WRAS approved. International Green Apple award winner, Waterwise approved, HBR Product innovation award winner. Our F-line flat tank has become a customer favourite due to its simple and cost effective install. Up to 70% less excavation than an equivalent sized "deep dig" tank. Great for high water table areas or heavy clay when deep excavations cause unnecessary hassle and costs. 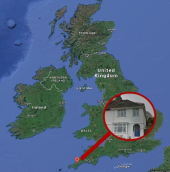 All without the need for a costly concrete backfill. Remember, these tanks are exceptionally strong: with an optional upgrade to vehicle loading shaft and steel lid for driveways etc.